Instantly downloadable sheet music by Billy Nichols for bass of MEDIUM skill level. Alle Notenausgaben von Do It (`Til You`re Satisfied) zum Herunterladen bei VirtualSheetMusic. Alle Noten von Billy Nichols zum Herunterladen bei VirtualSheetMusic. Instantly downloadable sheet music by Traditional Scottish Folksong for guitar solo of MEDIUM skill level. Alle Notenausgaben von Wild Mountain Thyme zum Herunterladen bei VirtualSheetMusic. Alle Noten von Traditional Scottish Folksong zum Herunterladen bei VirtualSheetMusic. Instantly downloadable sheet music by Paul Simon for guitar solo of MEDIUM skill level. Instantly downloadable sheet music by Woody Guthrie for guitar solo of MEDIUM skill level. 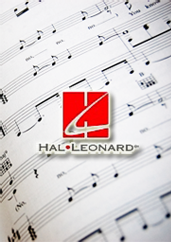 Alle Notenausgaben von This Land Is Your Land zum Herunterladen bei VirtualSheetMusic. Alle Noten von Woody Guthrie zum Herunterladen bei VirtualSheetMusic. Instantly downloadable sheet music by Roy Edward Burris for guitar solo of MEDIUM skill level. Alle Notenausgaben von Water Is Wide zum Herunterladen bei VirtualSheetMusic. Instantly downloadable sheet music by Sebastian Yradier for guitar solo of MEDIUM skill level. Alle Notenausgaben von La Paloma Blanca (The White Dove) zum Herunterladen bei VirtualSheetMusic. Alle Noten von Sebastian Yradier zum Herunterladen bei VirtualSheetMusic. Instantly downloadable sheet music by Paul Stookey for guitar solo of MEDIUM skill level. Alle Notenausgaben von Wedding Song (There Is Love) zum Herunterladen bei VirtualSheetMusic. Alle Noten von Paul Stookey zum Herunterladen bei VirtualSheetMusic. Alle Notenausgaben von Whiskey Before Breakfast zum Herunterladen bei VirtualSheetMusic. Instantly downloadable sheet music by Paul Williams for guitar solo of MEDIUM skill level. Alle Notenausgaben von The Rainbow Connection zum Herunterladen bei VirtualSheetMusic. Instantly downloadable sheet music by Stephen Stills for guitar solo of MEDIUM skill level. Alle Notenausgaben von Whiskey In The Jar zum Herunterladen bei VirtualSheetMusic. Instantly downloadable sheet music by Peggy Bland for guitar solo of MEDIUM skill level. Alle Notenausgaben von If That`s The Way You Feel zum Herunterladen bei VirtualSheetMusic. Alle Noten von Peggy Bland zum Herunterladen bei VirtualSheetMusic. Instantly downloadable sheet music by Tommy James for guitar solo of MEDIUM skill level. Alle Notenausgaben von I`ll Go Stepping Too zum Herunterladen bei VirtualSheetMusic. Alle Notenausgaben von Wild Rover zum Herunterladen bei VirtualSheetMusic. Instantly downloadable sheet music by Peter Yarrow for guitar solo of MEDIUM skill level. Alle Notenausgaben von Puff The Magic Dragon zum Herunterladen bei VirtualSheetMusic. Alle Noten von Peter Yarrow zum Herunterladen bei VirtualSheetMusic. Instantly downloadable sheet music by Traditional Ballad for guitar solo of MEDIUM skill level. Alle Notenausgaben von The Gypsy Rover zum Herunterladen bei VirtualSheetMusic. Alle Noten von Traditional Ballad zum Herunterladen bei VirtualSheetMusic. Instantly downloadable sheet music by Ralph Stanley for guitar solo of MEDIUM skill level. Alle Notenausgaben von Let Me Love You One More Time zum Herunterladen bei VirtualSheetMusic. Alle Noten von Ralph Stanley zum Herunterladen bei VirtualSheetMusic. Instantly downloadable sheet music by Traditional Irish Folksong for guitar solo of MEDIUM skill level. Alle Notenausgaben von Dicey Reilly zum Herunterladen bei VirtualSheetMusic. Instantly downloadable sheet music by Old Welsh Air for guitar solo of MEDIUM skill level. Alle Notenausgaben von The Ash Grove zum Herunterladen bei VirtualSheetMusic. Alle Noten von Old Welsh Air zum Herunterladen bei VirtualSheetMusic.